Found 37 blog entries tagged as "All Around Austin". Thursday, October 4th, 2018 at 8:21am. Tuesday, August 14th, 2018 at 1:24pm. LinkedIn on Aug. 10 said the Texas capital is attracting more workers than any other place in the country, with hiring in July up more than 14 percent from a year earlier. Meanwhile, MagnifyMoney ranked Austin as the nation's No. 1 "boomtown," a designation based on things such as wage growth, population gains and economic vitality. Austin was followed by Provo, Utah, and Raleigh, North Carolina. No surprise here but MagnifyMoney, a website for comparing credit cards, found that Austin's housing stock isn't keeping up with population growth, so that No. 1 ranking might slip in the years to come. According to the LinkedIn report, for every 10,000 of its users in Austin, 105 have arrived in the metro area in the past 12 months. Wednesday, June 27th, 2018 at 8:44am. The Business Insider analysis shows San Jose (Silicon Valley) ranks as the top economy among the country’s 40 largest metro areas, followed in second place by the San Francisco metro area, its next-door neighbor. Coming in at No. 3 is the Austin metro area! Below is a recap of the analysis which includes Austin being home to the University of Texas, creativity and a robust job market. Business Insider says Austin had the second highest rate of job growth among the 40 largest metro areas, with employment rising 3.7 percent between February 2017 and February 2018. Monday, May 21st, 2018 at 3:24pm. Austin remains one of the most coveted real estate markets in the nation. Further strengthening housing demand, the metro’s population is expected to grow by 2.8 percent in 2018. After several months of contraction, rents have stabilized, inching up 0.1 percent year over year through February to an average of $1,282, roughly $80 behind the national average. Despite experiencing delays, construction activity is strong, bringing the average occupancy rate down to 94.1 percent as of January, down 40 basis points in 12 months. Thursday, April 12th, 2018 at 8:46am. Thursday, March 15th, 2018 at 10:53am. Texas ranks as the No. 1 state for corporate relocations and expansions for the sixth year in a row, according to Site Selection magazine. Ohio followed with 467 new facilities that opened in 2017, the Atlanta-based magazine said in its annual Governor's Cup report, issued March 5. However, when population is taken into consideration, Nebraska is the overall No. 1 state cake with 110 projects per capita. Within Texas, the Houston metro is far and away the leader for corporate relocations and expansions. It ranked No. 2 in the nation in 2017 with 196 new and expanded facilities. Austin didn't rank nationally and came in No. 5 regionally in the South Central United States with 51 projects. Our own Jen Templeton was recently featured in Mansion Global one of the top luxury real estate publications in the world. She was asked about the current market conditions and much more of Austin's West Lake Hills community. Incorporated as a village in 1953, homes there are now prized as much for their location along winding, hilly roads as for their proximity to both downtown and Lake Austin. Friday, February 2nd, 2018 at 5:35pm. 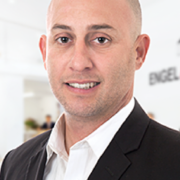 High Five Events announces the return of Ben Phillips – Engel & Völkers Austin as the Official Realtor of the 2018 Austin Marathon®. As the Official Realtor, Phillips is currently giving away two Austin Marathon entries and two Austin Marathon VIP passes. He will also have space at the expo and finish line to talk to athletes about their housing needs.